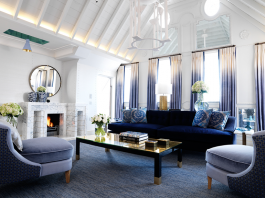 While visitors to London have always been spoiled for choice when it comes to fabulous suites, a recent slate of significant refurbishments has truly raised the bar. Whether you’re looking for traditional British finery or modern design, one thing all of these suites have in common is impeccable and discreet service. The recently opened Royal Suite at The Savoy takes full advantage of its prime location on the banks of the River Thames. 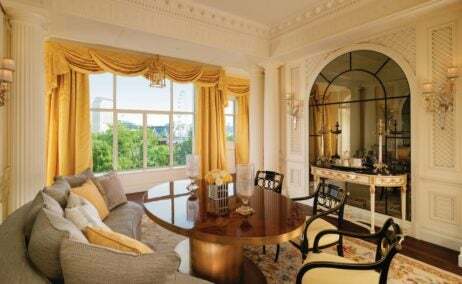 The suite runs the entire riverside length of the hotel, and each room has floor-to-ceiling windows with panoramic views of the river, Houses of Parliament, Big Ben and the London Eye. 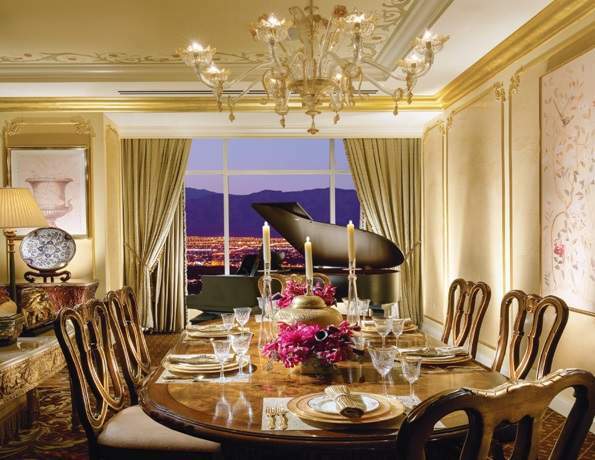 It has a luxurious decor by Pierre-Yves Rochon, but still maintains a residential feel. 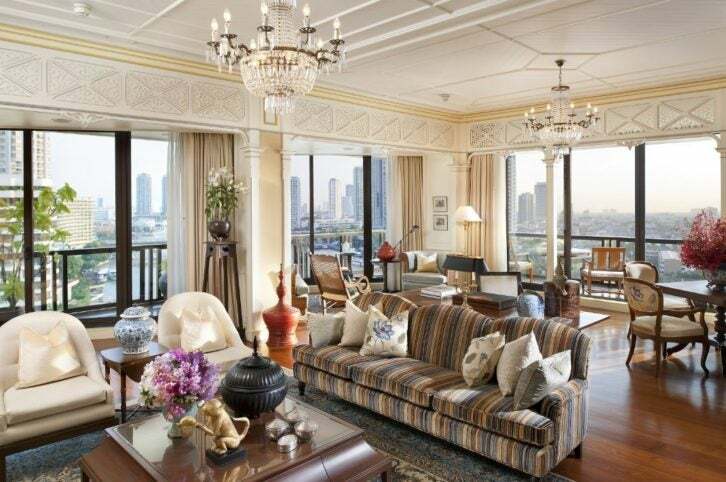 Crown moldings, cream-colored walls, rich woods and touches of gold adorn the space. The centerpiece of the living room is its showstopping bar, where a bartender from the hotel’s world renowned American Bar can whip up cocktails for you, or for a larger party. In the private area, there is an intimate morning room for casual meals, large wood-paneled dressing room, marble bathroom with free-standing tub and a majestic canopied bed. The Savoy Royal Entourage is available by request and can include a private concierge, chef, bartender, therapist, personal shopper, hairdresser and makeup artist, in addition to the famous Savoy butlers who hold the philosophy that they will do anything you require of them, providing it’s legal of course.